Itamar Medical Ltd., an industry leading company that develops, manufactures, and markets sleep apnea management solutions with focus on the cardiology market, announced the launch of SleePath, the first integrated e-health sleep apnea care pathway monitoring system that allows cardiologists to monitor patients with atrial fibrillation (AF) sleep apnea management status and compliance with continuous positive airway pressure (CPAP) devices on demand. Effective management of sleep apnea is essential for improving outcomes in patients with AF, a type of irregular heartbeat that affects 6 million individuals in the United States. Sleep apnea occurs in roughly 50% of patients with AF and is found in a higher proportion of AF patients scheduled for catheter ablation, a minimally invasive procedure commonly used to treat AF, which eliminates the cells that give rise to irregular heartbeat. In AF patients with sleep apnea, catheter ablation is most effective when used in conjunction with adherence to a CPAP regimen. Utilizing data from one of the leading CPAP machines, Philips Respironics, SleePath includes a CARDIO SLEEP DASHBOARD which allows physicians to track multiple aspects of a patient’s sleep apnea status anytime and anyplace. The system monitors care pathway progress, diagnosis status and results, CPAP compliance, the number of days and hours on CPAP and residual sleep apnea. Data are presented in a user-friendly visual format that makes it easy to see progress or deviation toward specific treatment goals and changes in metrics over time. 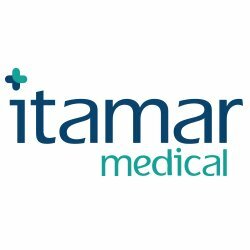 Itamar Medical is engaged in research, development, sales and marketing of non-invasive medical devices for the diagnosis of respiratory disorders with focus on the cardiology market. The Company’s flagship products, which are based on its unique technology, are WatchPAT™, a home-use diagnostic device for sleep breathing disorders, and EndoPAT™, an FDA-approved device to test endothelial dysfunction and to evaluate the risk of heart disease and other cardiovascular diseases. Itamar Medical is a public company traded on the Tel Aviv Stock Exchange and is based in Caesarea, Israel. More on the anesthesia, respiratory, and sleep management devices market in the US can be found in a series of reports published by iData Research entitled the US Market Report Suite for Anesthesia, Respiratory, and Sleep Management Devices. The full report suite on the US market for anesthesia, respiratory, and sleep management devices includes segments for anesthesia delivery units (ADU), anesthesia monitors, anesthesia information management systems (AIMS), anesthesia disposables, ventilators, nebulizers, respiratory disposables, oxygen therapy devices, sleep apnea devices and sleep diagnostic devices. The iData report series on anesthesia, respiratory, and sleep management devices covers the U.S. and 15 countries in Europe including Germany, France, the United Kingdom (U.K.), Italy, Spain, Benelux (Belgium, Netherlands and Luxembourg), Scandinavia (Finland, Denmark, Sweden and Norway), Portugal, Austria and Switzerland. Reports provide a comprehensive analysis including units sold, market value, forecasts, as well as detailed competitive market shares and analysis of major players’ success strategies in each market and segment. To find out more about anesthesia, respiratory, and sleep management market data, register online or email us at [email protected] for a US Market Report Suite for Anesthesia, Respiratory, and Sleep Management Devices brochure and synopsis.